Built in Maine in 2007, she has plied Maine’s coastal waters and primarily Penobscot Bay, until she was brought here last June, where she resides in Port Hadlock. She was a mainstay vessel at the annual TSCA Small Reach Regatta in the Eggemoggin Reach area of Maine. With a small canvas area for her ketch rig, an 18 ft. length and a 4 ft. 6 in. beam, drafting 5 in. 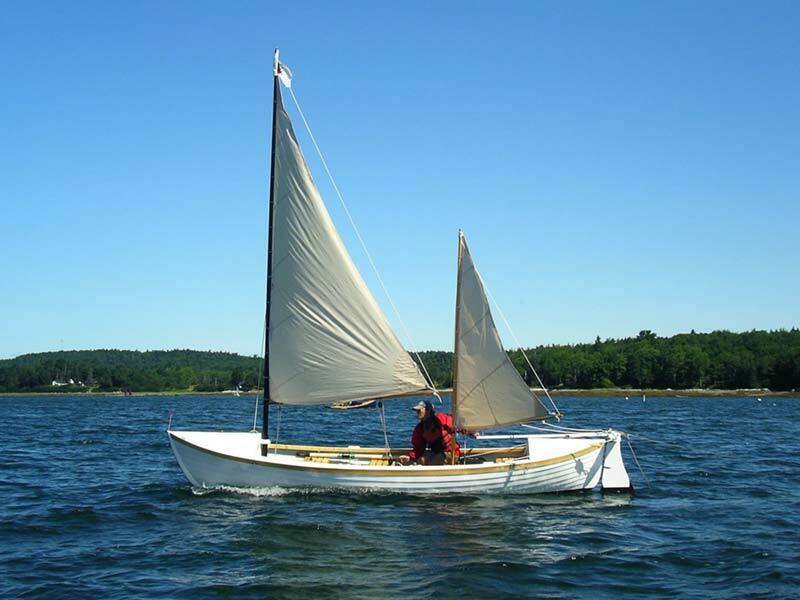 with her centerboard up, she is a slow but steady, sound, and balanced vessel that could best be described as a cross between a lifeboat and a dory. She is glued-lap of Meranti plywood and weighs 450 lb. empty. She is also a safe vessel with two water-tight turtlebacks fore and aft. In light winds, she sail/rows comfortably but really enjoys a stiff breeze, when other small boats are reefing and heading to harbor.